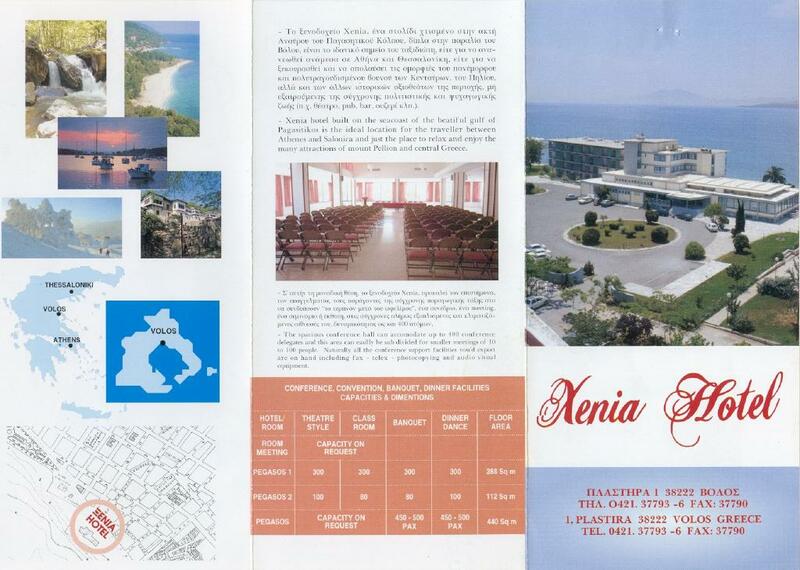 Located in the village Kala Nera, about 20 km away from Volos. 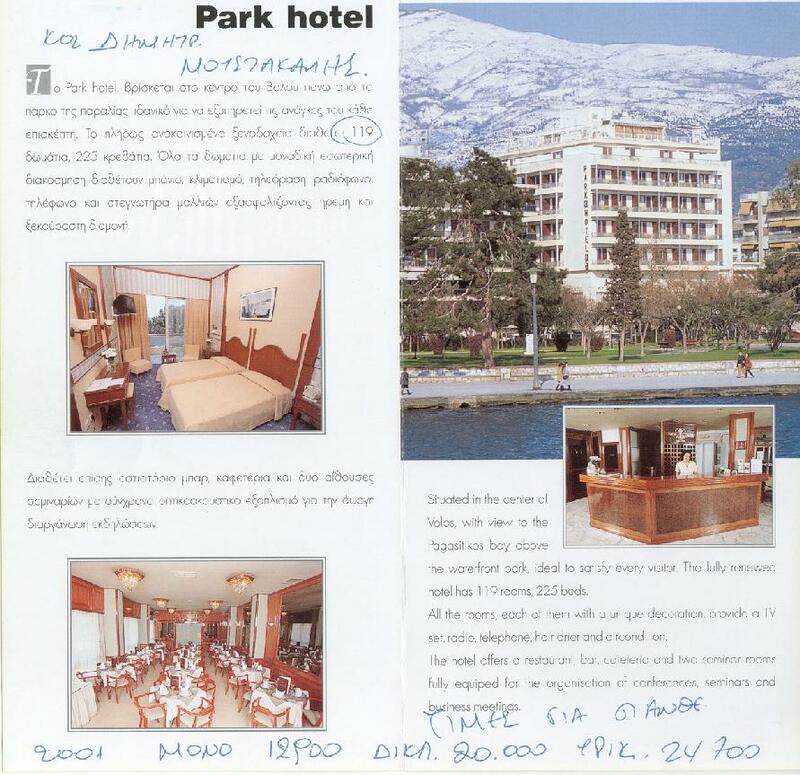 The hotel name is "Pigassos". parking on a first come-first served basis in the nearby streets. 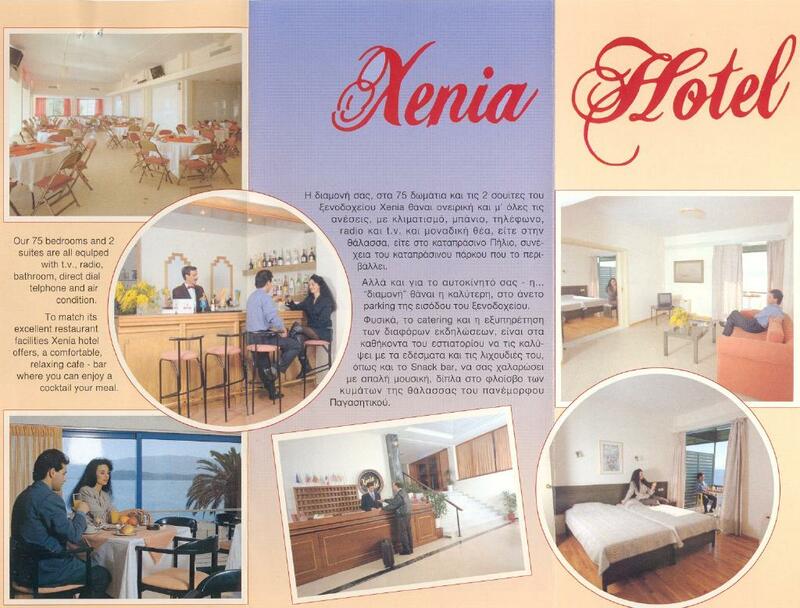 The web site http://www.amhotels.gr/ contains more information on Xenia Hotel and Park Hotel. The currency in Greece is the EURO , the common European Union currency. The EURO banknotes come in denominations of E5, E10, E20, E50, E100, E200, E500. Fake EURO banknotes of E300 have been detected. See pictures of the 7 EURO banknotes here. Euro essentials From the EU server EUROPA. The previous currency in Greece was the DRACHMA.